In Afghanistan, I served as a Navy corpsman (combat medic). I never fired a weapon in combat, but I did treat gunshot and fragmentation wounds. The heat, the sweat, the smell of filth, the fear and danger, the long hours on the road, the mutual distrust of the local populace, the belief that the next time we left the wire would be the time we’d get hit, the four or five instances of absolute terror spread out over a yearlong deployment – these were the things that gave me pause and caused me to desire and seek numbness. I had also suffered an injury in a car accident a year before I got out of the Navy. The accident was caused by an adverse reaction to a sleep medication, which led me to sleepwalk to my car, get in and drive. As a result, there was no shortage of pain medications in my possession. For a person in free fall, it’s difficult to see the bottom. Certain programs of recovery describe a “white light” experience; a moment of divine clarity in which the user finally gets it. This was not true for me. I’d tried in vain to get clean for the better part of four years following my return from Afghanistan. Eventually, the effort paid off, and I got better. There was no white light. Veterans with drinking and drug problems experience an additional layer of isolation. The feeling that we can’t relate to non-veteran addicts and alcoholics is pervasive among the veterans in recovery whom I know personally. But I’ve come to learn that addiction is indiscriminate, and we have more in common with civilian addicts than we’re perhaps inclined to believe. We can’t talk sensibly about veteran suicide without first talking seriously about veteran addiction. Drug and alcohol abuse are major indicators of suicide. This is especially true in the veterans community. There’s no doubt that we’re facing a mental health crisis. Our mental health professionals in the V.A. and in the civilian world have a tendency to over prescribe mood stabilizers, tranquilizers and anti-depressants. These drugs all have legitimate uses, and many patients absolutely need them. But if our focus is on using drugs to treat post-traumatic stress disorder or other combat related problems, we might, in fact, be making things worse. It’s possible that I’m wrong; I speak entirely from my own experience. But for me, I could not come down off the ledge until the drugs and alcohol were off the table. To read more about veteran suicides, see a recent New York Times story about suicide in one Marine Corps battalion, and a follow-up Q. and A. on Facebook. Brandon Caro is the author of the debut novel, Old Silk Road (Post Hill Press, Oct. 13, 2015). He was a Navy corpsman (combat medic) and adviser to the Afghan National Army in Afghanistan from 2006-7. 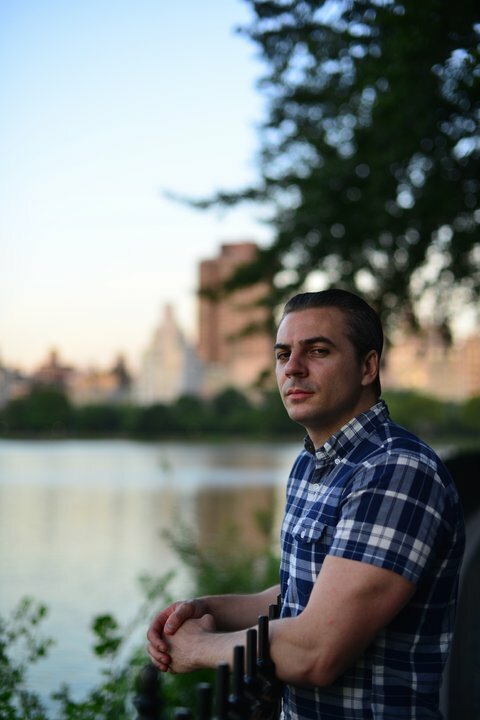 He holds a bachelor’s degree in liberal arts from Texas State University, and is currently pursuing a master’s degree in fiction writing from The New School in New York City.